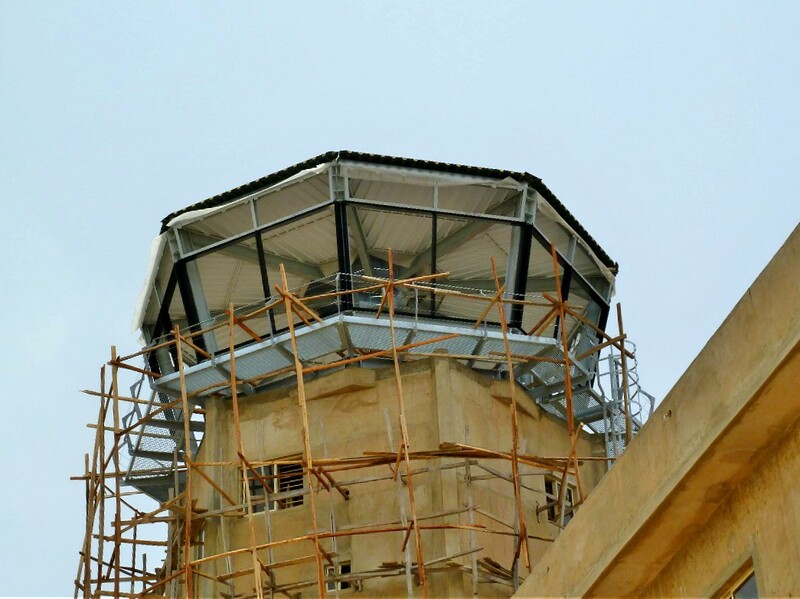 The construction of Kano International Airport’s new air traffic control tower required a swift, value engineered, modular solution. The project constraints lent toward one of our prefabricated designs that can be delivered in flat pack form and then either installed by client resource with our Project Management or fulfilled by Tex ATC as a turnkey delivery. Tex ATC’s MV8-50 was selected, offering a floor area of approximately 50 Sqm and comfortably supporting up to 7 operator positions. 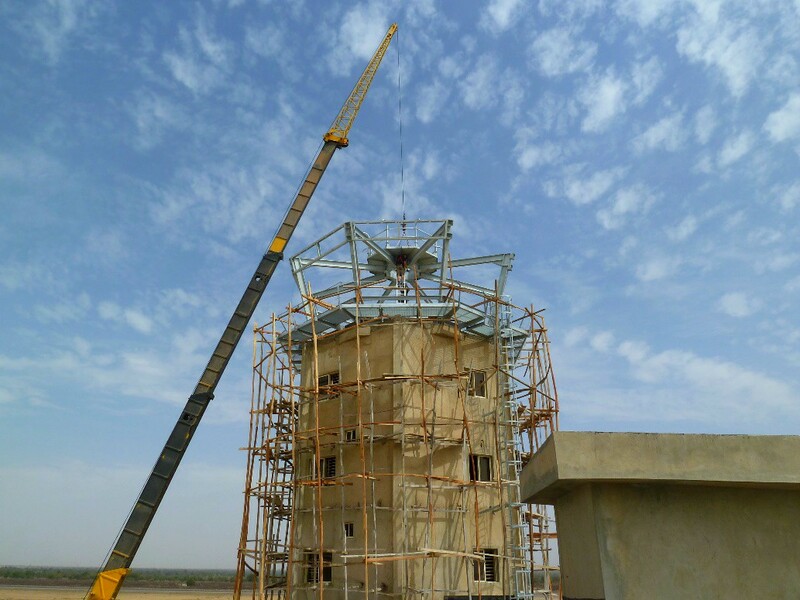 Craning the steelwork, Mallam Aminu Kano International Airport, Nigeria. Later stages of construction, Mallam Aminu Kano International Airport, Nigeria. The MV8-50 is a factory-prefabricated octagonal structure with each facet having a 15-degree outward inclination to reduce internal reflection, glare and solar gain. The adaptive design format offers variable floor to ceiling heights from 2500mm to 3200mm giving flexibility to HVAC, Containment and Service integration. The VCR comprises 8 slim line columns with an integrated ring beam permitting either steel or concrete interface. This interface method allows for a uniform distribution of load to the supporting structure further reducing the limitations imposed upon the project architects and engineers in their design considerations. The modular design format of the VCR enabled the use of proprietary specialist materials, thus alleviating any limitations of challenging client supply chain problems. This design is a quick and robust solution for new or existing smaller airports and offers “through life versatility” as end user requirements change to adapt with increasing traffic frequency. 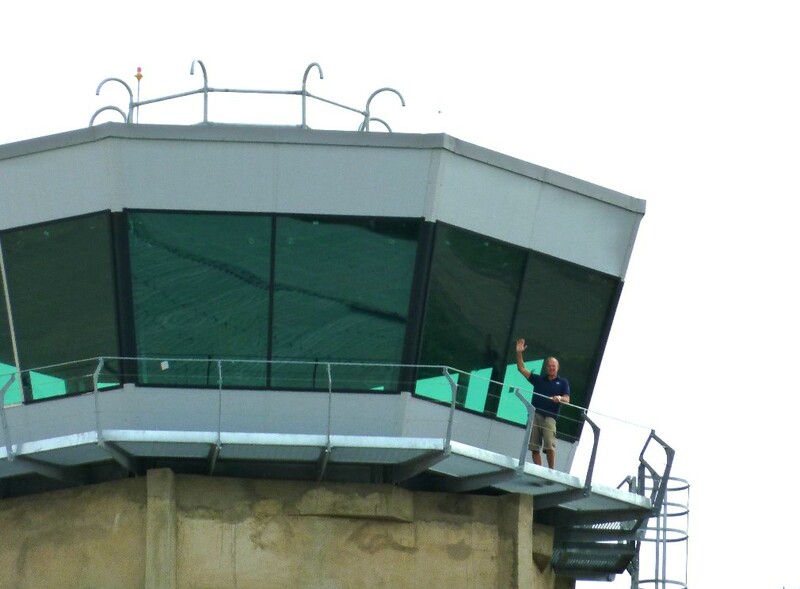 Kano Airport’s VCR installation was Project managed by Tex ATC using client resource and was completed within 6 weeks from its arrival at site. Completion of the VCR at Mallam Aminu Kano International Airport, Nigeria.